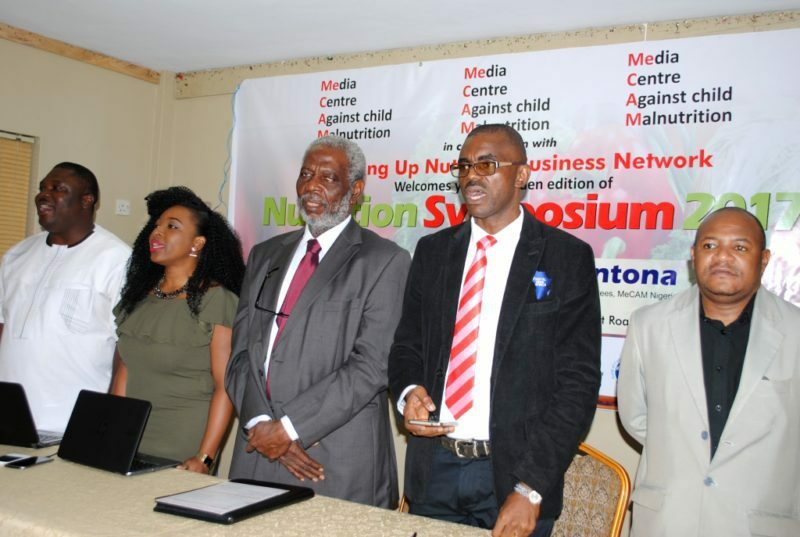 On 4 August 2017, Nigeria’s Media Centre Against Child Malnutrition (MeCAM) organised a one-day symposium on “Malnutrition, Child Development and the Media”. Accordingly, participants took the opportunity to amplify their voices and urge the Federal Government to invest more resources into nutrition programmes. Furthermore, the grouped stressed the need for awareness campaigns to prevent the underlying causes of malnutrition in addition to programmes which address those who suffer from malnutrition. Participants at the symposium took the opportunity to amplify their voices and urge the Federal Government to invest more resources into nutrition programmes. Furthermore, the grouped stressed the need for awareness campaigns that prevent the underlying causes of malnutrition. No doubt, this would be in addition to continuing programmes which help those who already suffer from malnutrition. Professor Babatunde Oguntona, former president of the Nutrition Society of Nigeria. Sunday Okoronkwo, a project manager at the Civil Society on Scaling Up Nutrition Nigeria (CS-SUNN), spoke on behalf of the society’s Director, Beatrice Eluaka. Above all, he explained that the country does not have proper funding to address the problem of malnutrition and warned that the figure of 11m Nigerian children being stunted, may be a poor representation of the reality. Dr. Aminu Garba, chairman of the Community Health and Research Initiative, called for a declaration of emergency on malnutrition and sustained media engagement. These calls were among many other recommendations to address the issue which has many complex causes, including cultural claims. Consequently, Remmy Nweke, national coordinator of MeCAM, said they will leave no stone unturned in their bid to create awareness on the dangers of malnutrition in the country.